Fabuwood cabinets for kitchens are one of the most loved kitchen cabinets in New Jersey. This high-end cabinetry is versatile, adjustable, and affordable. 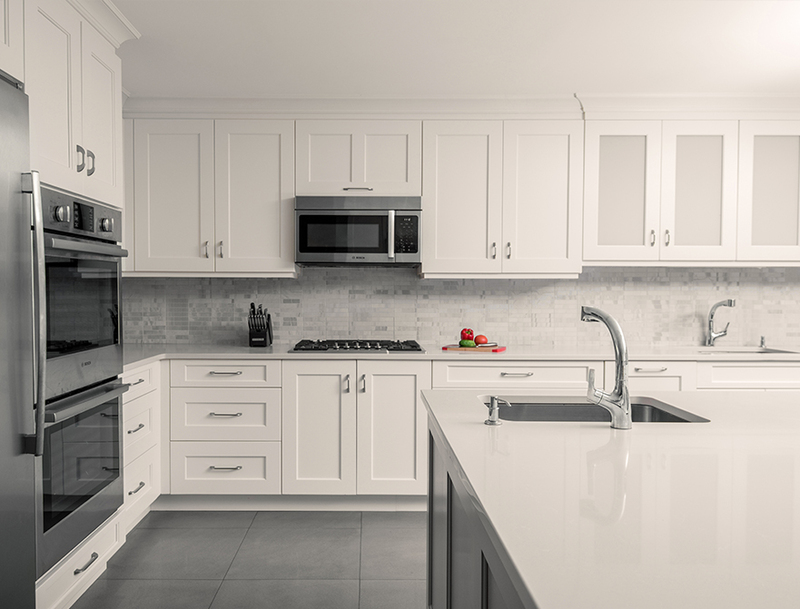 Luxurious and practical, traditional and modern, Fabuwood kitchen cabinets can meet even the most demanding requirements from homeowners, designers, and contractors. 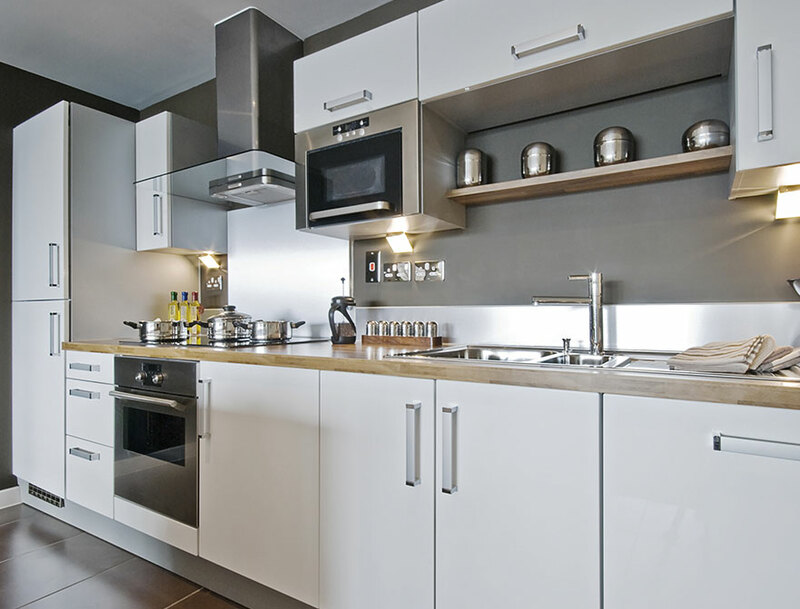 Without the wait you would normally expect from a kitchen cabinet manufacturer, Fabuwood kitchens prove as one of the most trusted and most reliable kitchen cabinet brands. Fabuwood cabinet catalog includes 7 high-quality and great looking Fabuwood cabinet collections. Fabuwood cabinet specifications include some of the most desirable kitchen cabinet features like real birch wood, adjustable hinges, and soft-close mechanism. In the times when we need our kitchens to function and serve us flawlessly and look stylish and modern, Fabuwood cabinets present a natural choice. A rich selection of different styles, with a 5-year guarantee and affordable prices, make Fabuwood cabinetry one of the best decisions you can make for your kitchen and home. All these are reasons why Aqua Kitchen and Bath Design Center is a proud Fabuwood cabinets dealer located in Wayne, NJ. If you’ve been wondering where to buy Fabuwood cabinets, now you know! We are one of the most trusted Fabuwood dealers in NJ who can show you Fabuwood catalog and Fabuwood cabinet price list. Feel free to visit us anytime to see Fabuwood cabinets at our NJ cabinet showroom. Keep reading to discover a wonderful world of Fabuwood cabinets where the kitchen is the best room in a home. One of the most popular Fabuwood kitchen cabinet series is Value. Symbolically named to emphasize one of the most important features of this cabinetry line, Fabuwood Value series comes with some of the most affordable prices you can find on the kitchen cabinet market. 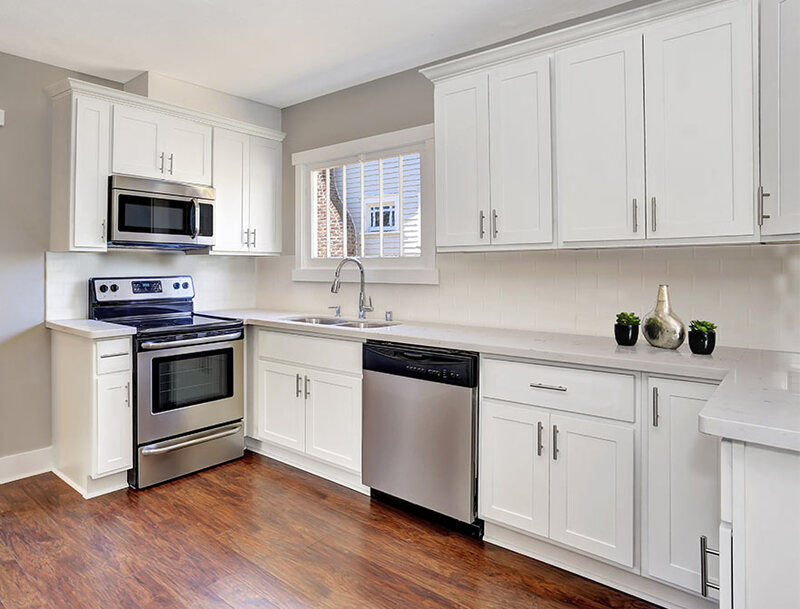 An excellent choice for all the homeowners who don’t want to break the bank when remodeling or building a kitchen, Fabuwood cabinets from Value series deliver excellent quality at even better prices. High-end taste, beautiful finishes, and sturdy construction make these budget kitchen cabinets a great option when you cannot allow yourself to splurge on kitchen cabinets. Value Collection offers Landmark cabinets and Hallmark cabinets. Both options are highly functional and visually exciting. Take a look and remember that you can upgrade and customize the look of your Fabuwood kitchen any time. Hallmark Cabinets from Value Series by Fabuwood is a cost-effective solution for any kitchen. Fabuwood Hallmark Cabinets feature quality craftmanship along with distinctive design and rich hues. If you’re looking for a cost-effective kitchen that will also look elegant and expensive, you should definitely take a look at Fabuwood Hallmark Chestnut. 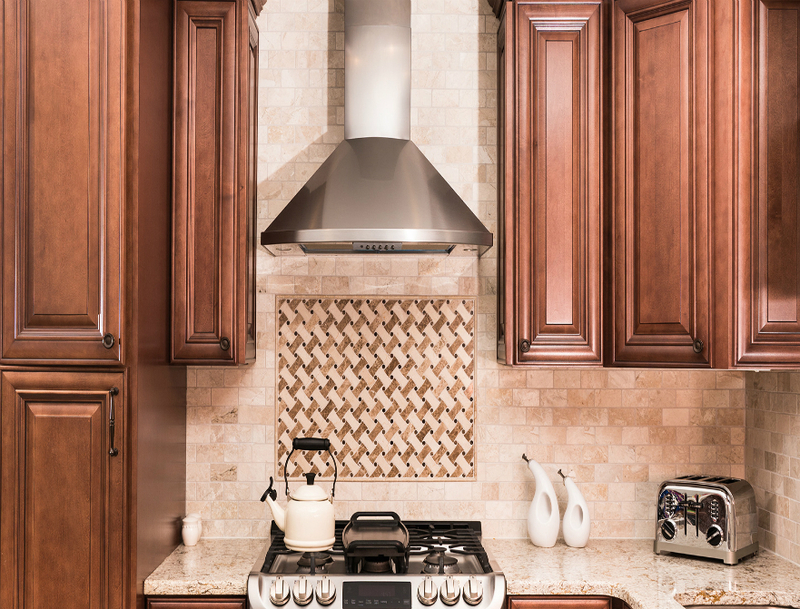 These kitchen cabinets feature quality craftsmanship, rich hues, and distinctive design. 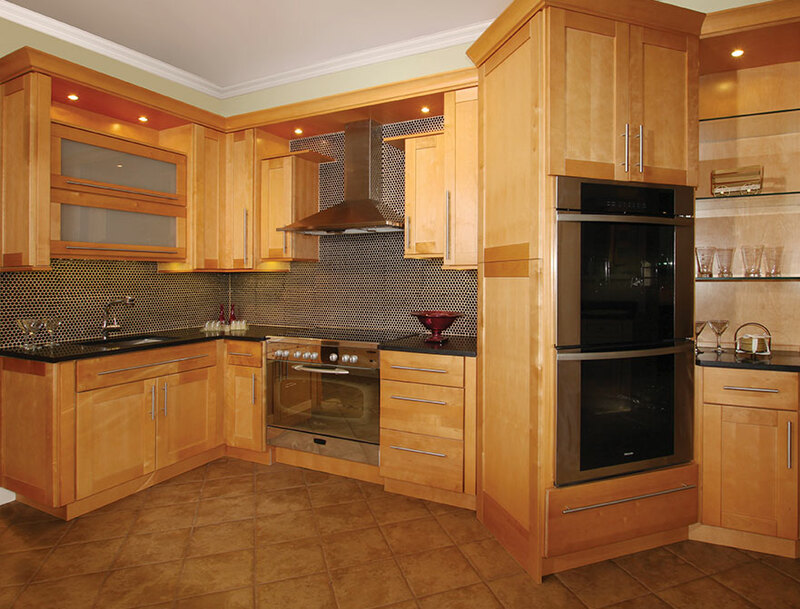 Fabuwood Hallmark Brandy kitchen cabinets are everything that you are looking for in quality and affordable cabinetry. 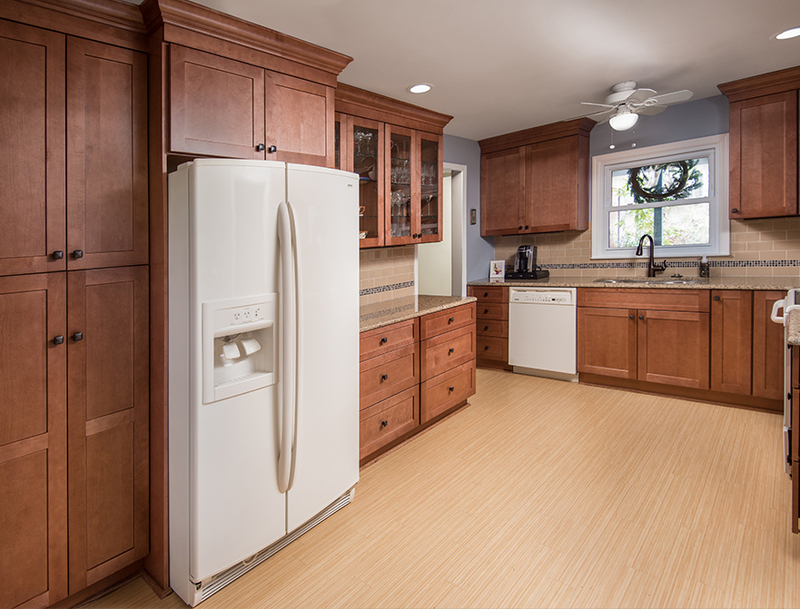 Warm color, sturdy wooden construction, and cutting-edge design make Hallmark Brandy popular cabinets. 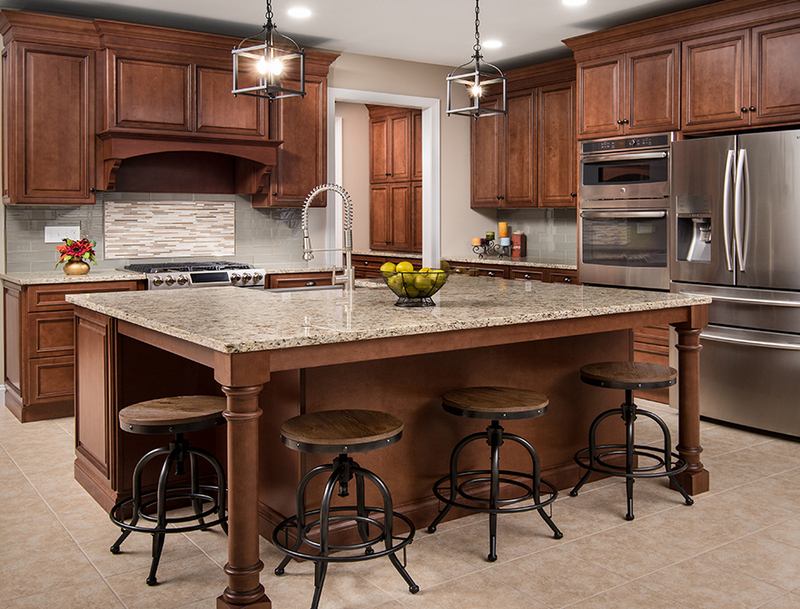 Light birch wood and clean cabinetry lines make Fabuwood Hallmark Pecan design especially popular. Full extension soft-close undermount drawer runners are just one of many excellent features of these cabinets. For all white kitchen design lovers, Fabuwood Hallmark Frost is certainly worthy of their attention. Check out this contemporary addition to Fabuwood Hallmark Premium Value Series. Landmark cabinets by Fabuwood from Value collection feature a standard overlay door with a solid wood slab drawer front. Everything is made of solid birch wood. The center panel of the door is a thick MDF raised panel with a birch veneer. The MDF panel is used so there is no shrinking and expanding in the center panel. There are two options available in the Landmark series – Brandy cabinets and Natural cabinets. Fabuwood Landmark Brandy cabinetry is also a part of Fabuwood Value Series. Warm Brandy exterior finish is complemented with natural wood veneer finished interior. Fabuwood Landmark Natural cabinetry features traditional overlay doors with mortise & tenon construction, veneer raised panel captured into solid birch rails, and solid birch drawer box. The heart of all Fabuwood cabinets lines, collections, and types, is most likely Classic Cabinet Series. Cutting-edge design, all solid wood and plywood construction, as well as full extension under mount drawer glides with soft close and soft close hinges as well, make Fabuwood cabinets from Classic Collection much more than perfect kitchen conceptions – an actual perfect kitchen brought to life ready to become yours. Shaker Cabinets come from Classic Line by Fabuwood. This cabinetry is well known by its symmetry, clean lines, and understated elegance. Compact Blumotion soft-close mechanism is integrated into concealed six-way adjustable hinges of Fabuwood Shaker Natural cabinets. 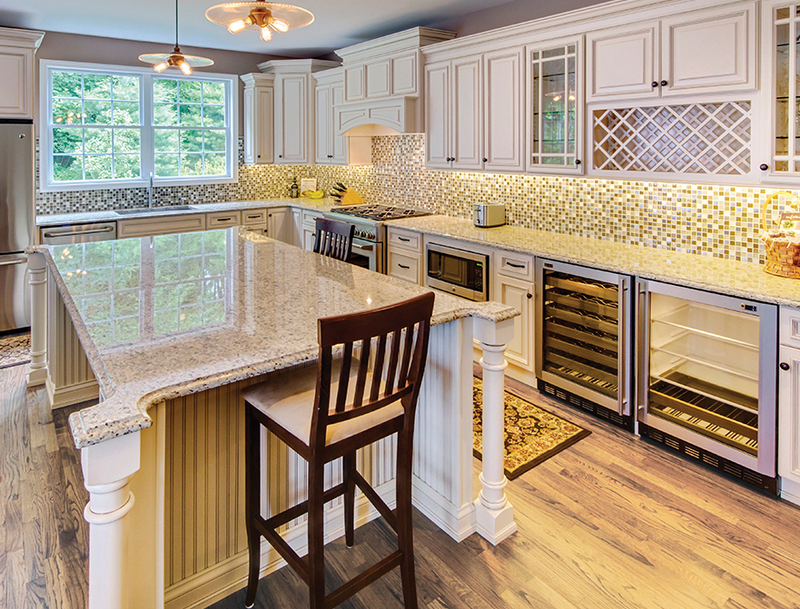 Modern cabinetry that will last you a lifetime is also backed up with a 5-year warranty. Natural color, clean lines, and rejuvenating simplicity of these kitchen cabinets from Fabuwood easily make any kitchen an enjoyable cooking and socializing space. Offering enough storage for even the busiest kitchens, Fabuwood Shaker Natural cabinets look amazing, too. Inspired by family life and people who love to socialize in homey, cozy, and stylish spaces, these shaker cabinets give you a great, beautiful, durable, and long-lasting option. If you wish to see more high-end options, Wellington and Elite Series will give you just what you need. Fabuwood Wellington Line comes in three colors: Cinnamon, Ivory, and Spice. Dark glaze on each of these cabinet door types make the precious details on the door more visible. Fabuwood Cabinets Elite series features a five piece full overlay door with thick, solid raised center panel, with solid birch mitered frame assembled with dowels and finger jointed. The Elite cabinet series from Fabuwood comes in Cinnamon and Merlot colors with door glazing. 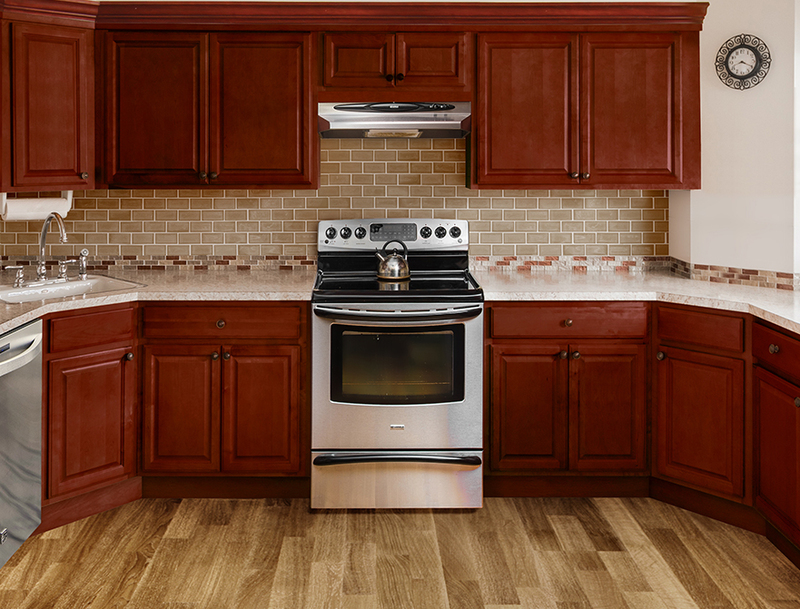 Rich-hued, elegant, and warm, Fabuwood Wellington Cinnamon will class up your kitchen space. 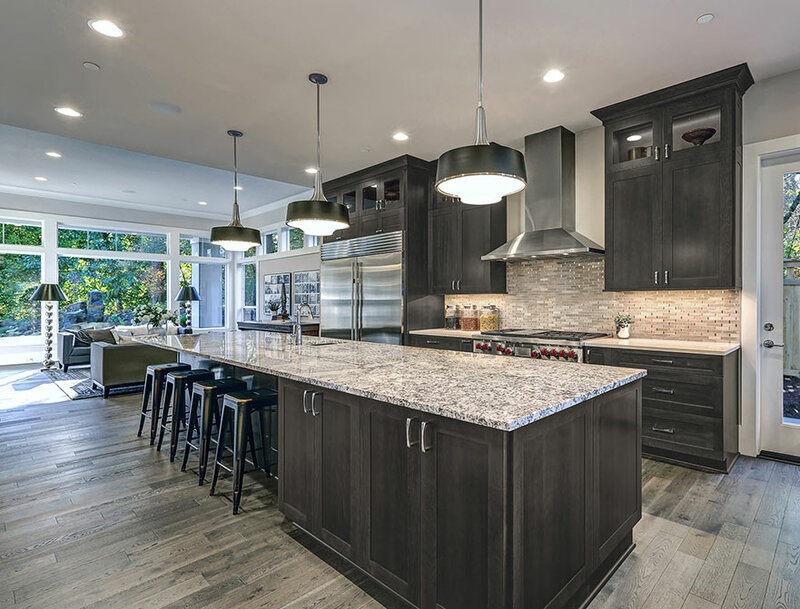 Perfect for modern kitchen designs, as well as for traditional kitchen ideas, these solid wood kitchen cabinets will refresh your home with cutting-edge design. Fabuwood Wellington Ivory wood cabinetry features classy decorative touches that you crave in a kitchen space with a timelessly elegant design. Traditional, but also modern – you simply cannot go wrong with Wellington Ivory kitchen cabinets design. 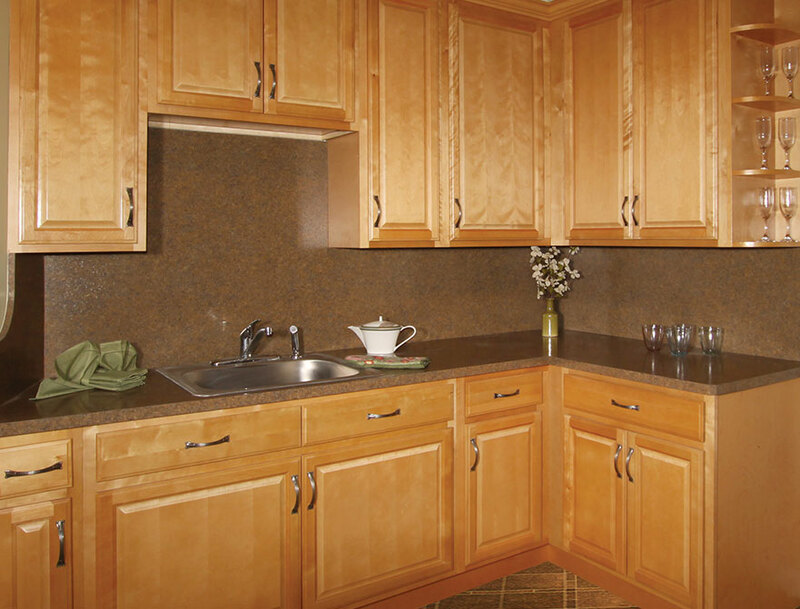 Striking and bold, Fabuwood Elite Cinnamon kitchen cabinets come in an elegant brown finish. These beautiful, classic style cabinets with mitered raised panel doors and matching recessed panel drawer fronts will compliment a range of designs and give your kitchen the look you’ve always dreamed of. 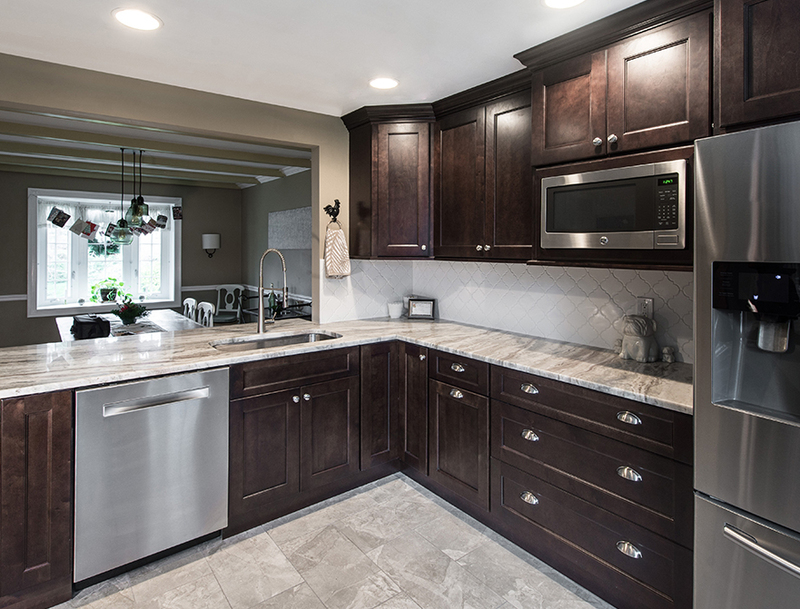 Elite Merlot Fabuwood kitchen cabinets from their Classic Series feature raised paneled doors, coordinating recessed panel drawer fronts, and a wonderfully looking glazed finish for an unforgettable impression. 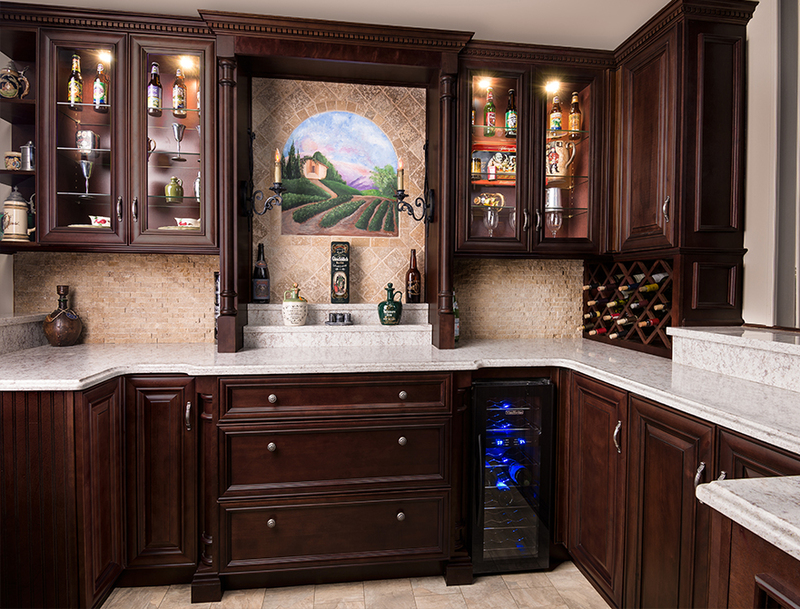 Elite Merlot cabinets are number one choice for all who want classy kitchen space. Wide frames, classic detailing and styling, and a luxurious appearance set Allure Fabuwood cabinetry collection apart from other transitional cabinet lines. This cabinet collection is one of the best value for the money kitchen cabinets today. The Allure Fabuwood cabinet line features three different door styles with various finishes. These are Galaxy, Fusion and Nexus. Nexus Frost kitchen cabinets present the upscale cabinetry line by Fabuwood. These beautiful kitchen cabinets that belong to Allure Fabuwood kitchen cabinetry series, showcase recessed paneling and crisp lines. Frost White cabinets provide a classic and clean, almost ethereal feel to any kitchen space. Finally, Nexus Frost Fabuwood kitchen cabinets create the perfect balance between tradition and trend, classic and temporary. Nexus Frost Fabuwood Cabinets feature full overlay door with mortise and tenon construction, solid wood door frames with ⅜” MDF center panel, Compact Blumotion soft-close mechanism that is integrated with concealed six-way adjustable hinges. 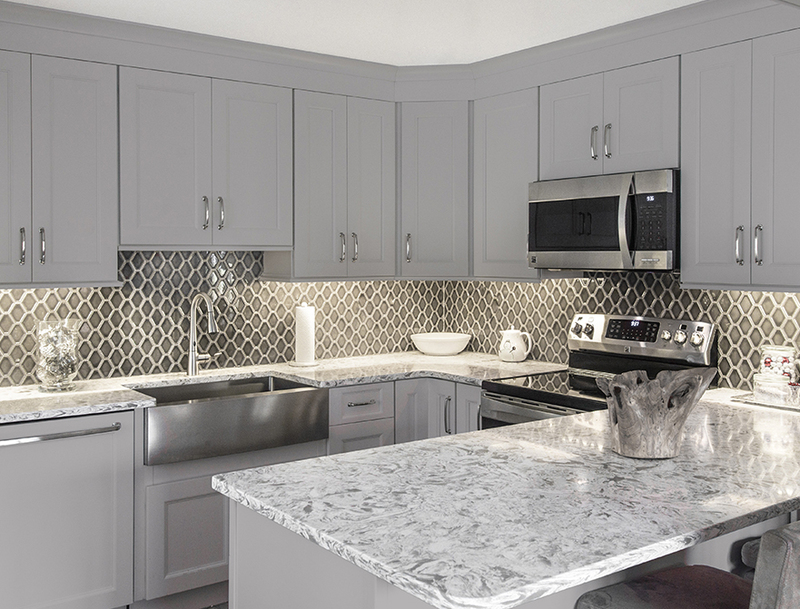 Galaxy Cobblestone Fabuwood cabinets from Allure Series feature simple, elegant design and a polished, contemporary look. 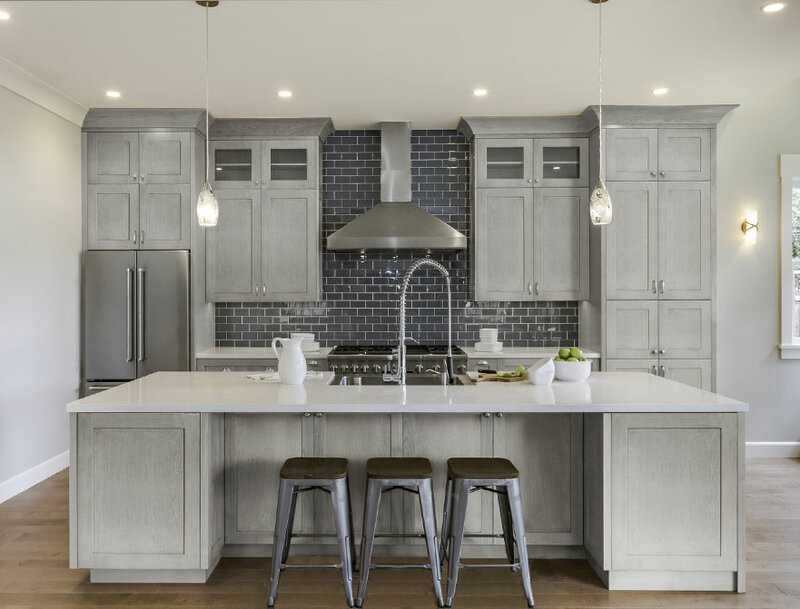 A true inspiration for a dream kitchen, these dark, cobblestone colored cabinets feature boxes with dovetail construction, ½” select birch plywood construction, and ¾” adjustable shelves edge-banded in the wood veneer natural finish. Base cabinet has 18” deep shelves. The transitional style of the Galaxy Cobblestone Fabuwood cabinets door is what made this cabinetry line the most popular of the whole Allure Fabuwood series. 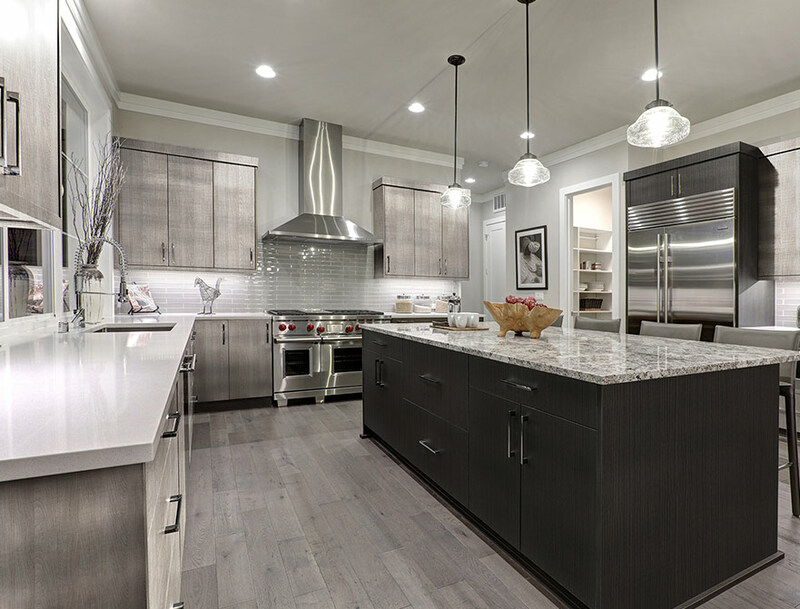 If you prefer grey cabinetry more than any other cabinet color in a kitchen, you will appreciate Galaxy Horizon Fabuwood cabinets from their Allure Series. Grey stain and a transitional style kitchen cabinet doors make this cabinetry line one of the most popular lately. Galaxy Horizon cabinets successfully reinvent modern kitchen spaces with their contemporary color, clean, minimal lines, and rich texture. Favored by homeowners, designers, retailers, builders, and contractors in New Jersey as well as nationwide, Fabuwood Galaxy Horizon cabinets provide unique design and exquisite interior design experience. Galaxy Frost Fabuwood kitchen cabinets from Allure Series will make your kitchen look polished, clean, and sharp. Not only that your kitchen will look elegant – this look will overflow your home, especially if you have an open plan kitchen space. And with these Fabuwood cabinets, it’s a shame if you don’t have an open plan kitchen – these white shaker cabinets look that good. Fabuwood Galaxy Frost kitchen cabinets feature simple elegance and transitional style cabinetry design. Solid plywood cabinet boxes and dovetail drawer construction are made and designed to endure daily traffic in your busy kitchen while looking their best all the time. 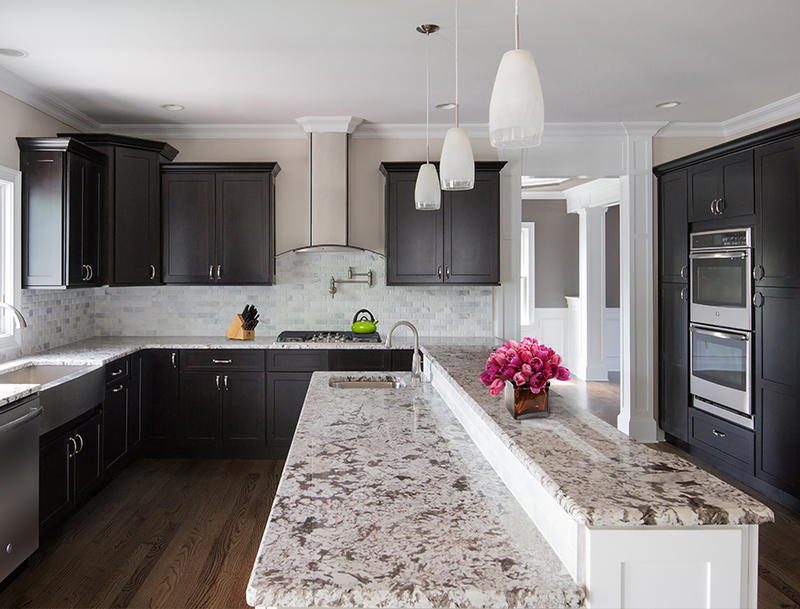 Dark stained Galaxy Fabuwood Espresso cabinets combine dark, deep, and rich brown tone with simple and clean shaker cabinet lines. 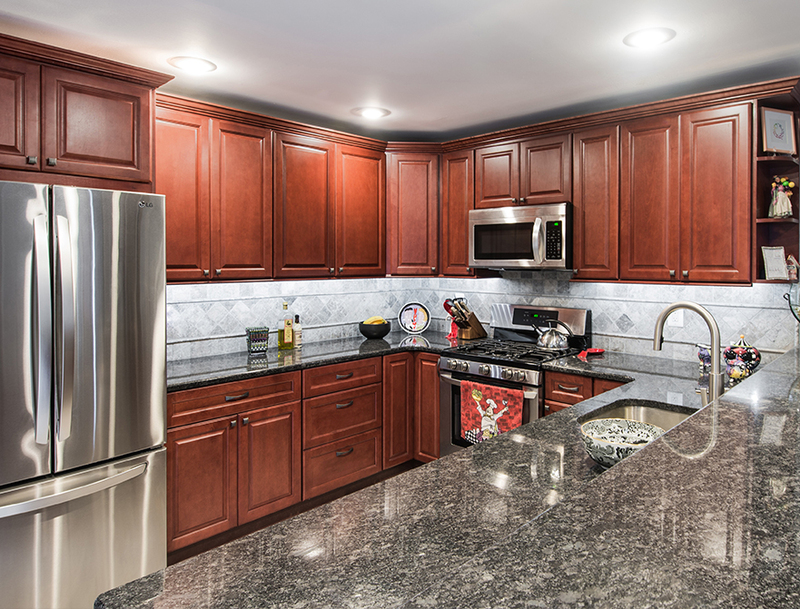 Special and subtle warm red undertone gives these Fabuwood Cabinets from Allure Series a gentle and warm feel to balance contemporary shaker cabinet door look. Galaxy Espresso Fabuwood cabinets are all about simple elegance and contemporary feel. 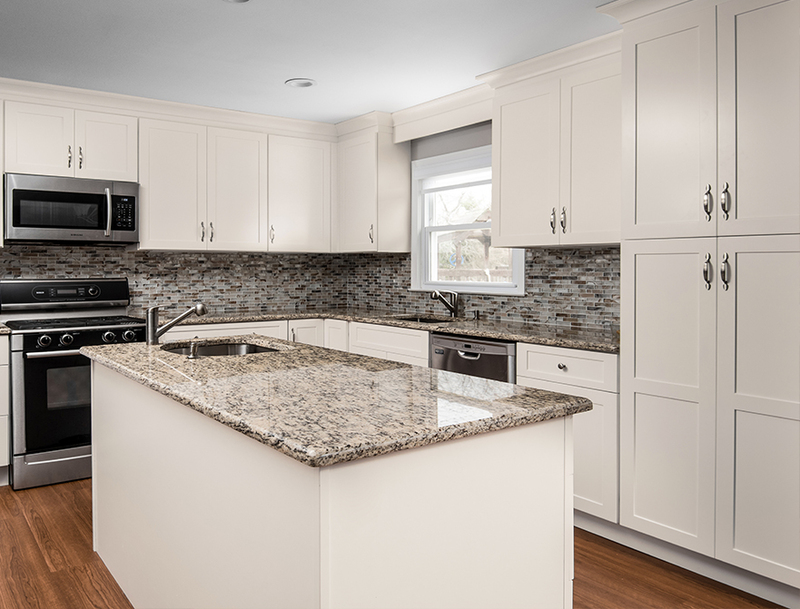 At the same time, this kitchen cabinetry is classic and elegant enough to create the perfect traditional kitchen setting in any NJ home for those who prefer traditional look. If you like the look of modern kitchen cabinets, but prefer gentle and warm family environment, especially in the kitchen, you will love Galaxy Linen Fabuwood cabinets from Allure Series. Fabuwood Galaxy Linen modern cabinetry emphasizes the subtleness of the paint finish cream undertone. Although these cabinets feature light, modern polished look to the kitchen space, they also carry lots of warmth. Modern, but also comforting, friendly and family kitchen space is provided with these Fabuwood cabinets. Versatile and highly functional, all kitchen cabinets from Fabuwood Allure series come with standard features that homeowners are looking for today. Full extension under mount drawer glides with soft close and soft close hinges are some of the most important details you should look for when trying to find the best kitchen cabinets for your kitchen remodel. Nexus Slate Fabuwood cabinets from Allure Series are the perfect example of exquisitely done transitional cabinetry. Streamlined, highly sophisticated, trendy, and stylish. These kitchen cabinets will talk in your name and showcase your excellent taste in kitchen interior design. 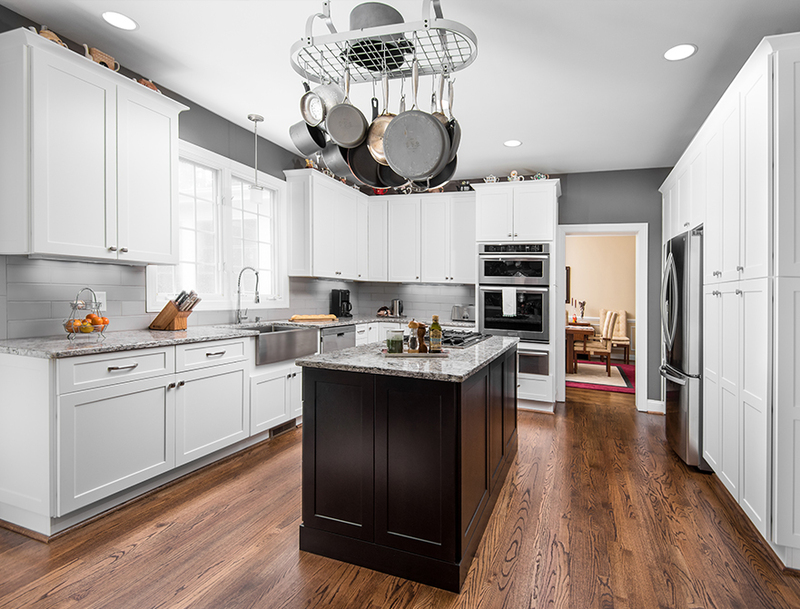 Soft, romantic, and smoky grey tone will work perfectly with any other details in your kitchen. Use it to create contrasts or to make other elements seamlessly flow with Nexus Slate Fabuwood Cabinets. Nexus Slate Fabuwood Cabinet Door come with full overlay, mortise and tenon construction, solid wood door frames with ⅜” MDF center panel, and a compact Blumotion soft-close mechanism integrated with concealed six-way adjustable hinges. Nexus Slate Fabuwood Cabinet Drawers feature recessed panel drawer fronts, solid birch drawer box with dovetail construction, and tandem plus Blumotion full extension concealed drawer runners. Classic detailing, a luxurious appearance, and wide frames set Fusion Chestnut Fabuwood kitchen cabinets apart from any other kitchen cabinet design. This chestnut stained Fabuwood cabinetry from Allure Series features deep, soft brown shade combined with striking red undertones to even more accentuate and radiate the warmth, comfort, and familiar elegance. Maybe more than any other Fabuwood cabinet design, Fusion Chestnut transitional style will reflect your own personality and originality. Fusion Chestnut Fabuwood cabinets door feature full overlay with mortise and tenon construction, solid wood door frames with ⅜” MDF center panel, and a compact Blumotion soft-close mechanism integrated with concealed six-way adjustable hinges. Drawers consist of 5-piece recessed panel drawer fronts, ⅝” solid birch drawer box with dovetail constructio, and a tandem plus Blumotio full extension concealed drawer runners. The cabinet boxes are designed using birch plywood and dovetail construction. Galaxy Pecan wood kitchen cabinet design by Fabuwood features clean, polished look. While it is contemporary, this Fabuwood cabinetry line from Allure Series radiates warmth and reflects nature’s look and feel with its natural, wood brown color. 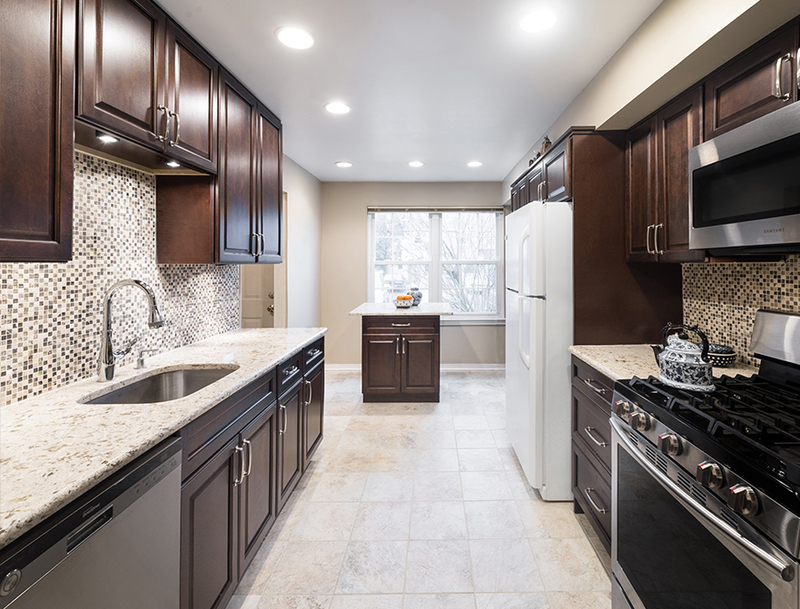 Allure Galaxy Pecan kitchen cabinets are a typical transitional style kitchen cabinet type with shaker cabinet doors and design that gives endless possibilities for combinations and further design endeavors. Galaxy Pecan Fabuwood cabinets feature dovetail contruction from birch plywood, adjustable shelves edge-banded in the wood veneer natural finish, and a base cabinet that has 18” deep shelves. These cabinets are available in six finishes and stains: Frost, Linen, Espresso, Pecan, Cobblestone, and Horizon. Natural wood veneer finished interior is applied on all Galaxy Pecan Fabuwood cabinets. 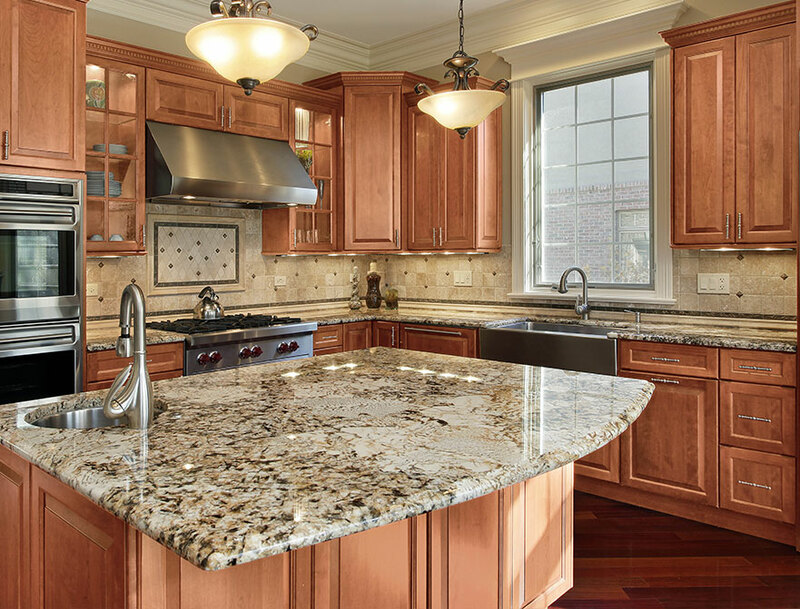 It is possible to upgrade your Galaxy Pecan cabinetry with various high sheen finishes. Vista Blanc Fabuwood kitchen cabinets come from the exquisite Fabuwood Allure Series, also. 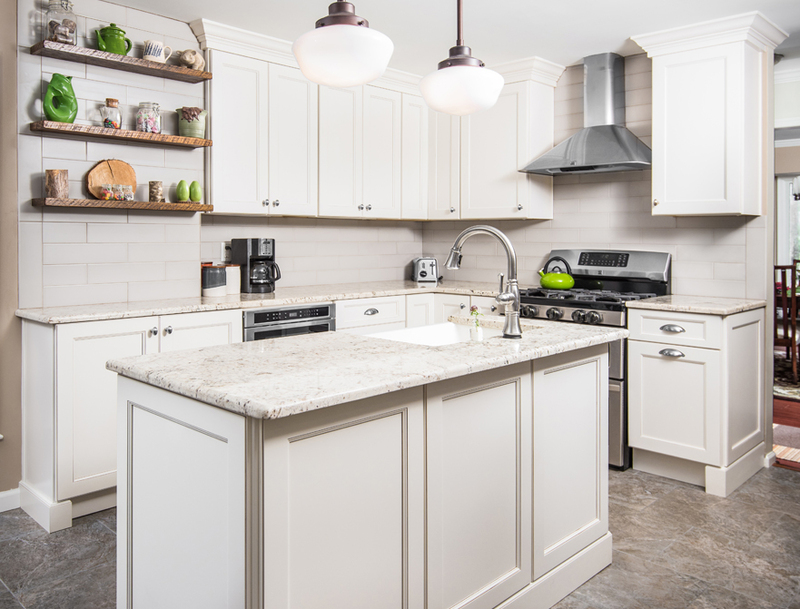 These white shaker cabinets feature intricate detailing and applied moldings. Modern and classical at the same time, these Fabuwood cabinets will meet your expectations for universal design in a kitchen. At the same time, a bright color and clean lines will brighten any NJ home. 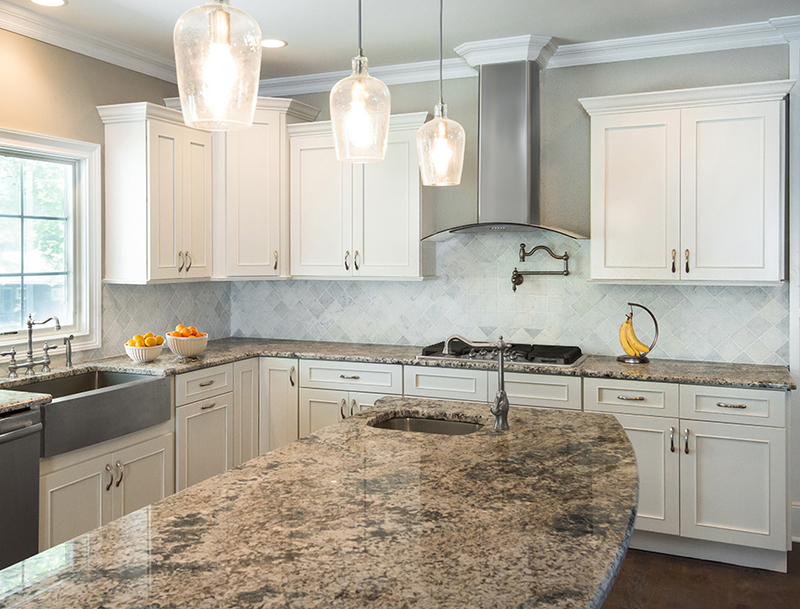 Allure Vista Blanc Fabuwood cabinetry successfully, effectively, and with ease brings transitional style, traditional quality, and contemporary feel to your NJ kitchen. Vista Blanc Fabuwood cabinets are available in Painted Blanc color. They feature natural wood finished interior. It is possible to upgrade Vista Blanc Cabinets with various high sheen finishes. High quality wood cabinetry by Fabuwood is made to last you a lifetime, but it also comes with a 5-year warranty. Fusion Blanc Fabuwood Cabinets come with classic detailing, wide frame, and a luxurious appearance. All these unique characteristics set this transitional kitchen cabinetry line apart from other cabinet types. Coming from Fabuwood Allure Series, Fusion Blanc kitchen cabinets offer much needed versatility and a perfect, bright canvas to create and change the design of your kitchen over time. Perfection is easily acheved with Fusion Blanc cabinets – you have a great start, and finish, if you choose it. Solid structure, luminosity of its white painth that lets soft light to appear, make Fusion Blanc Fabuwood Cabinets one of all-time favorite cabinetry. Fabuwood’s Fusion Blanc cabinetry is somewhat similar to Nexus cabinet door style. However, Fabuwood takes a step further with Fusion Blanc – there is one step more on the outside of the cabinet door. Visually, this sets apart Fusion Blanc from any other white shaker cabinetry made by Fabuwood. If you are detailed oriented, you will know how much these details and features mean in the kitchen design. The color of Fusion Blanc Fabuwood cabinets is somewhat off white which provides a soft, gentle white kitchen appearance. It is not hard to see why Fabuwood cabinets are favored so much by homeowners, designers, contractors, builders, retailers, and landlords in New Jersey and across America. 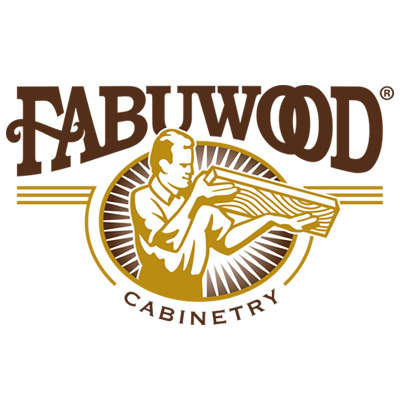 Fabuwood cabinet brand recognizes individual needs, trends, and manages to combine superior craftmanship with fine design, all at incomparable savings. Geneva and Discovery cabinets introduce high-end kitchen cabinet look, with amazing functionality at low price. Geneva Fabuwood kitchen cabinets are one of the most economical kitchen cabinet lines. Geneva cabinets are utilitarian and practical option for any kitchen. If you want to save your money but still get the most for the amount you want to spend, Geneva Fabuwood cabinets are a great option. Thermofoil doors and frameless construction make the Geneva cabinet line an efficient and a budget-friendly option. The simplicity of Geneva cabinet design makes these cabinets so universally loved. Geneva Fabuwood Cabinets present one of the favorites among builders, contractors, designers, and homeowners in NJ and nationwide. Discovery Frost Kitchen Cabinets by Fabuwod come from their Quest Series. 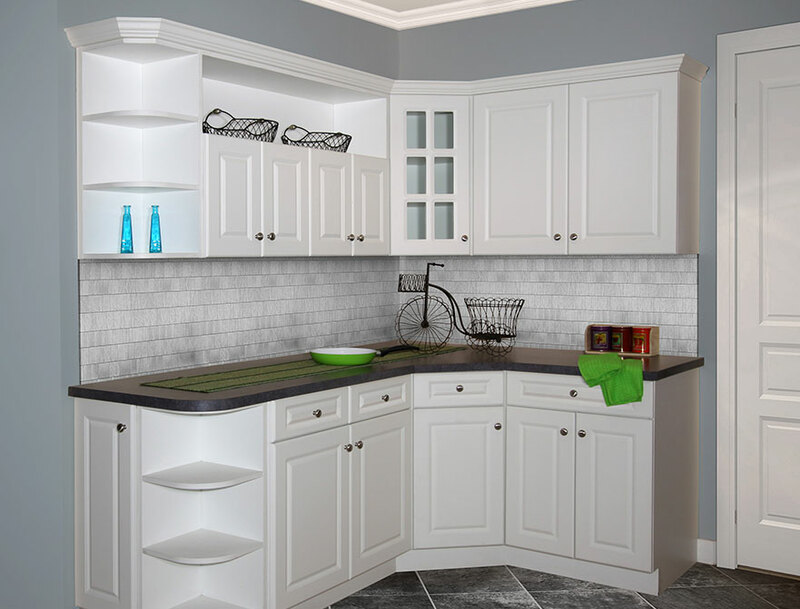 Shaker style cabinet in white color introduces new, more economical kitchen cabinet line that is called Discovery. Traditional overlay doors and slab drawer fronts make this kitchen cabinetry line by Fabuwood perfect for multi-unit projects. Discovery Frost Fabuwood Cabinets feature traditional overlay with mortise and tenon construct and a MDF recessed panel captured into solid birch rails. Prima Bianco Fabuwood cabinets are unique among other Fabuwood cabinet lines because of their sleek, contemporary European style kitchen cabinet doors. 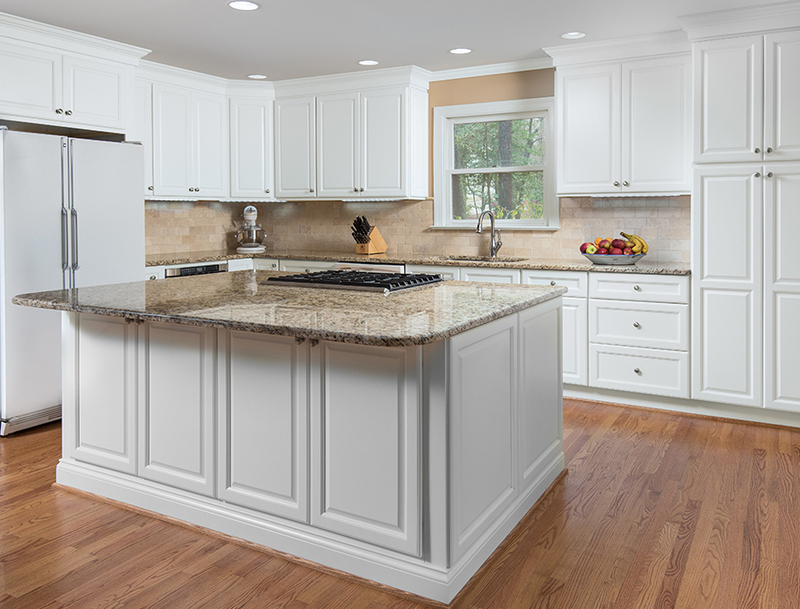 The Prima Bianco Fabuwood cabinetry features a frameless cabinet in a snowy white color. Aesthetic and alluring, the Prima Bianco Cabinetry is as functional as it is beautiful. These kitchen cabinets come with meta-box soft-close drawer box with combi-plywood bottom, combi-plywood frameless construction, MDF backing, combi-plywood adjustable shelving, base cabinets that have full dust cover, deep shelves, and finishing available in high gloss white acrylic (Bianco). Fabuwood Illume is a new kitchen cabinet collection that is coming soon. Illume Luster and Shadow kitchen cabinets by Fabuwood will make your modern kitchen complete and ready for the smart home era. The Illume Luster is kitchen cabinet type coming from Illume kitchen cabinet line by Fabuwood. This cabinetry line is a collection that features simulated wood cabinets in a clean and modern style. The cabinet design is a reflection of beauty in the form of simplicity. The multicolored grain of this Illume Luster Fabuwood kitchen cabinets cabinet will class up your NJ kitchen. This kitchen cabinet line has yet to come and we can’t wait to see it in our kitchen cabinet showroom! Fabuwood cabinets are imported from China. Fabuwood headquater warehouse is located in Jersey City, NJ. This cabinet manufacturer brand’s goal and mission is to design cabinets of the highest quality at an affordable price. At the same time, Fabuwood’s first priority is environmental conservation and protection. Fabuwood cabinet reviews testify that Fabuwood cabinetry is as sturdy and strong as any American made cabinetry. Fabuwood price list is also very affordable according to many reviewers. If you need more detailed information on where is Fabuwood cabinetry made, you can always contact them on Fabuwood website. If you live anywhere in the state of New Jersey, stop by at our Fabuwood kitchen cabinet showroom located in Wayne, NJ. We will provide you with unmatched customer service and help you design your dream kitchen with these superb cabinets. Even if you reside in some of New Jersey’s neighboring states, we are one of Fabuwood dealers NJ, still close enough for you to visit us and find Fabuwood cabinets at best, lowest price. 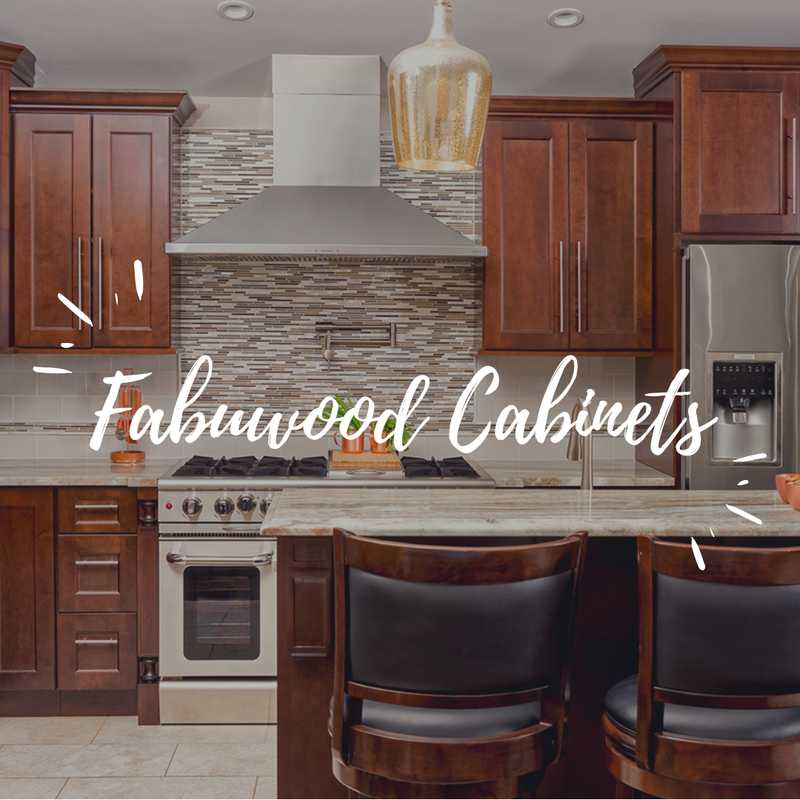 Get Fabuwood cabinets that will perfectly match your kitchen vision, from Fabuwood cabinet dealer near you, at an affordable price. Contact us today for a free estimate. We also provide 3D design for your convenience. Take a look at our kitchen cabinets NJ selection that we carry and get inspired for your kitchen remodel.